A photograph of a woman with dreamy and serene expression on her face, a cascade of corkscrew curls flowing over her shoulder. She’s dressed all in white and on her head there is a headpiece that could perhaps be a veil of some sort. 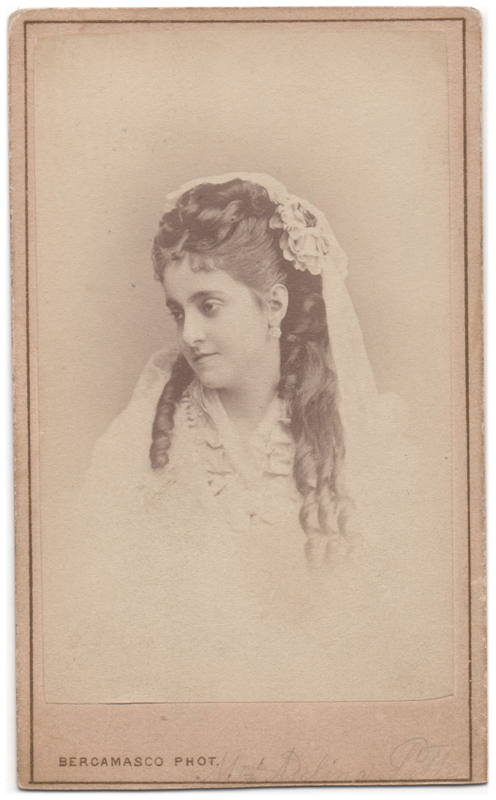 A faint writing at the bottom of the photograph identifies her as Mrs. Adelina. The last name is also mentioned, but it is illegible to me at least. The number 1871, presumably meaning a year, has been written on the back of the image. 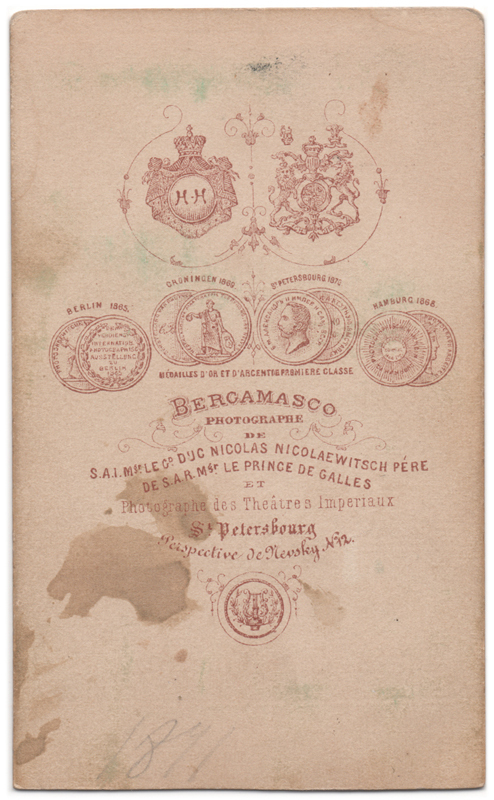 The image has been taken at Bercamasco Photographe studio in St. Petersburg, Russia, presumably in the year 1871.